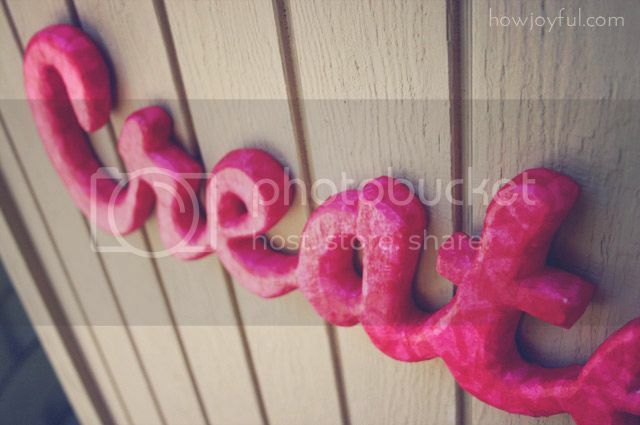 Some months ago I shared the Love wall art template, along with that one I made this one, but unlike the previous one I wanted to make this word different and special, so no cardboard. Instead, I used a piece of Styrofoam from a box we received last week. When I saw it a knew it was perfect for this project =] And instead of painting or covering it with fabric (my first idea) I decided to just go the Decoupage route with hot pink tissue paper. It ends up being so light! I just double tape mine to the wall and it works like a charm! **The download is a PDF format file, so you will need to have Abobe Reader installed on your PC or MAC. Without the program, you will not be able to download or preview the file. If you have troubles please visit this link, because each browser works differently. 1- Trace the patter and slowly start cutting around it, I used my x-acto knife with the smallest tip to make the curves smoother. 3- After cutting your word, make a fillet with your knife all the way around the edges, I cut just 1/8″ all the way around. 4- Once the chamfer is ready you can sand your piece to make it smoother and to round the edges. 5- Now it's time to decoupage, I used about 2 sheets of hot pink tissue paper, I thought about using different shared, but the fact that the Styrofoam is white game me enough texture when gluing in an uneven pattern. 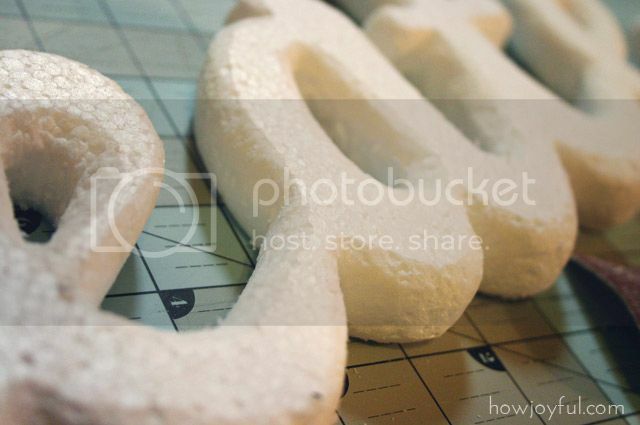 6- I mixed 1/8 cup of water with 1/4 cup of glue and used the sponge brush to brush over the Styrofoam and then carefully place the little pieces. 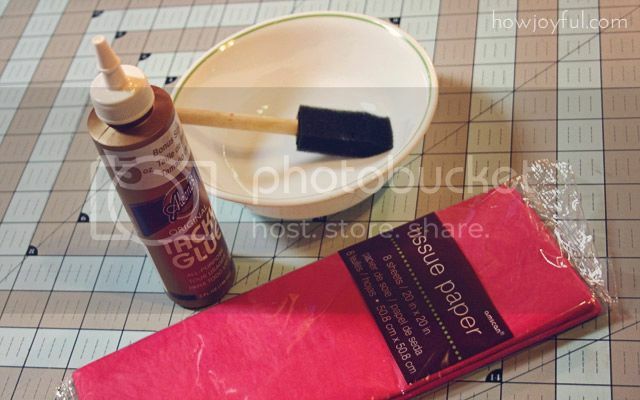 7- After I finish and everything was almost dry I gave the whole thing a second coat of glue and water and you are READY! ps. The font I used is called Bello you can purchase it here. 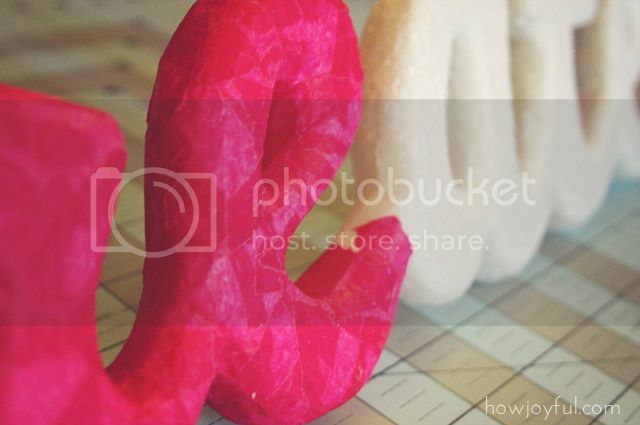 * This tutorial and template are provided for personal, non-commercial use only. Love it! I would like to make one that says “Travel” and decoupage it with color copies of vintage postcards. That is such an adorable idea =] you should share a photo if you make it! Ah great!! So simple and beautiful! Thanks! so amazing and wonderful! 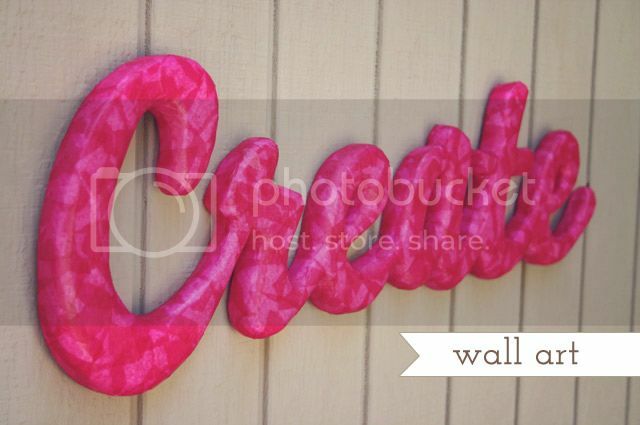 And great for hanging on a wall!!! I’ve been working to write a poem on our back fence using cut wood, but I’m only 1/2 way done! I absolutely love this tutorial! Wall art is wonderful in any room & this right here could be one of my favorite art tutorials! Thank you for your inspiration. Thank you so much =] your blog is lovely! I just found your blog and I love it (It’s probably a new favorite). All of your projects are so fabulous, and I love this one! I am wondering where you got your lettering to do this with? 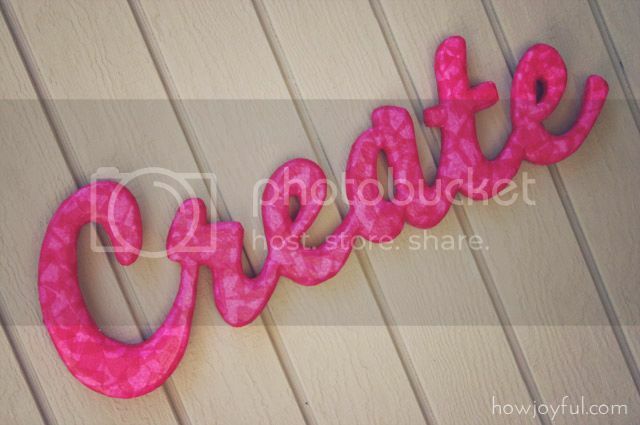 I want to do some quotes on my sewing room wall and this would be so neat instead of having to paint them on the wall. I LOVE this idea! Hi! Love this idea and the font is so pretty! Do you mind if I ask what font you used? I want to make one like this for my kitchen. Those wooden “eat” signs are all over the place, but if I could do it with foam instead of having to haul out the jigsaw that would be awesome! Thanks for your help! It’s so pretty. I will definitely be trying this one! Love this!!!! How thick is the styrofoam?? This seems like just a great ideas for baby names in their rooms! Clever idea! Though, admittedly, the sound of styrofoam and I are not friends… Haha! 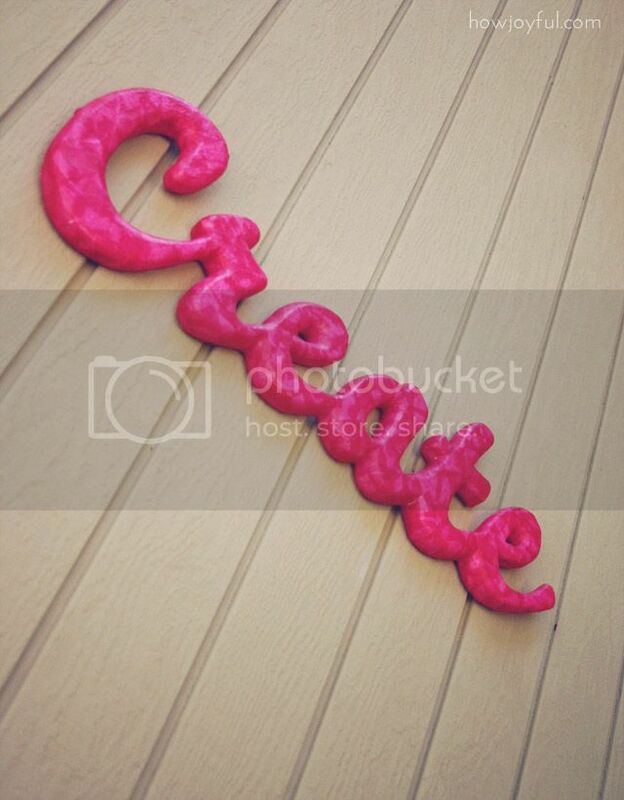 I love this idea – it’d be fab for a party decoration, too! LLOOOOOOVVVVEEEE this! You’re too clever! Thanks for sharing the how to! Gonna add this to the list of “must try” projects! I love this idea! I will never throw packing foam away again. Pinning this! This is so cute! I love it, it’s so creative. And simple! That is my favorite part! I cannot find where to download the tutorial and templet!! It says to find it below – WHERE below???? I would like to try this. I’ll look again – third time. Can i just ask, what font is this? 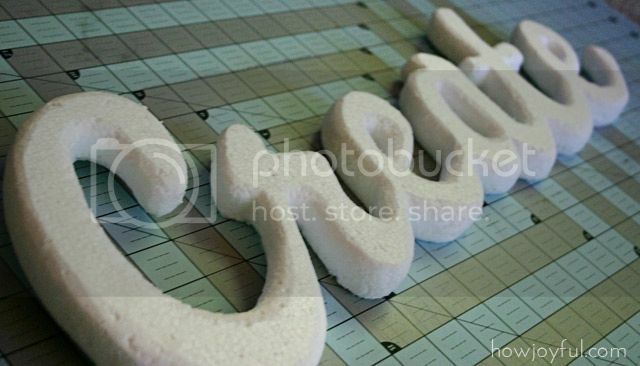 Love this project just one question how big did you set your font? I am not sure if you do this but I thought I would ask anyway. I was wondering if you could create a template for me. I am having alot of trouble getting this done but I need it so bad. I first measure the surface I will be using (in this case my piece of styrofoam) then I draw a rectangle on Illustrator with the measurements. I create my words and trasform them to path, so I can increase the size to the exact area I want, once I have the size I want I divide it to print in several pages depending on the size. 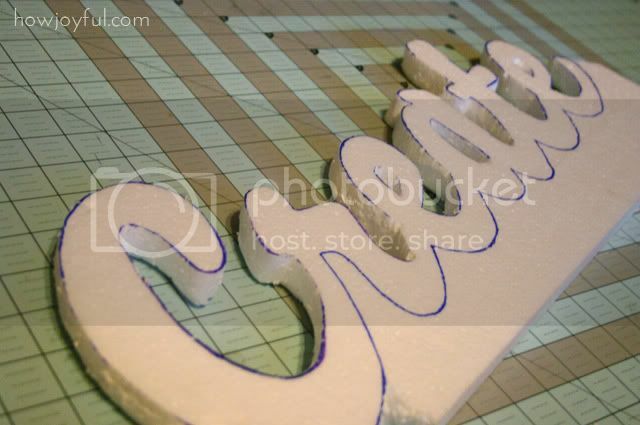 If I want to create my own word, say like a name for my son’s room, what size font would you suggest? Hi Kimberly, I would suggest you to select the size you want to cover first and then draw it on a program so you can have a reference. Since all fonts are different the best way is to trace them and then expand them. I hope that helps! 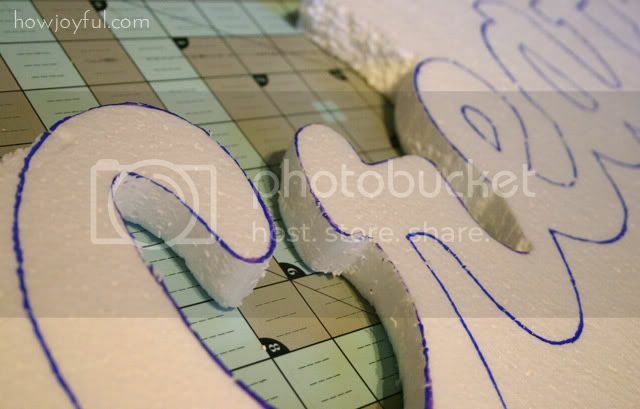 I will be posting the explanation of how I made my son’s name for his nursery soon, there I will try to explain how I make my templates in detail. I would love an explanation of how to make my own template. I would like to try making my future son or daughter’s name in Greek letters font. I absolutely love all of your projects. This project is one of the first pictures I pinnned, and now I’m happy to say I’m actually working on the project. I was wondering if you could share a short explained of how to create a template or pattern file….for other words? Thanks! !